Mobile monetisation platform Tapjoy acquired ad mediation company Tapdaq last week, rebranding the latter as Tapdaq by Tapjoy. Tapdaq's London HQ is also being merged with Tapjoy's team in the city and will work on its new parent company's Maximum Impact Platform. 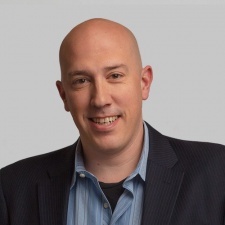 We reached out to Tapjoy SVP of strategy, corporate and business development Paul Longhenry (pictured) to gain an insight on what this means for both companies, and their customers, going forward. From what he told us, it sounds like an acquisition has been in the cards for some time now. “We have always planned to add third-party ad demand to Tapjoy's game monetisation platform via mediation and exchange services,” said Longhenry. “But we hadn't found the right combination of great team and differentiated tech until now. The two companies have been involved with each other one way or another since mid-2017, with Tapjoy at first acting as a demand source in Tapdaq's ad mediation platform. “As we began to work with their technical team, both sides began to explore the differentiation that could be produced via the integration of these services with Tapjoy's existing LTV platform," said Longhenry. Longhenry is keen to assure customers of both Tapjoy and Tapdaq that they shouldn’t expect too much hassle as Tapdaq integrates. Both platforms will operate independently for the duration while work takes place behind the scenes. “Tapjoy will continue to bring ad demand to all of our other mediation partners and to support their product roadmaps, while Tapdaq will continue to support all available third-party ad demand partners in order to optimise monetisation for its publishers in a completely transparent manner," said Longhenry. He added: “This acquisition means that both teams can accelerate their path toward a common product vision that will drive market-leading monetization for mobile game studios. “We're excited to begin reviewing our joint roadmap details with our current and prospective publishers over the next few months."